At Newman Family Dentistry, we offer a wide range of dental options. At our practice, three top notch indianapolis dentists will work hard to give you the smile of your dreams. 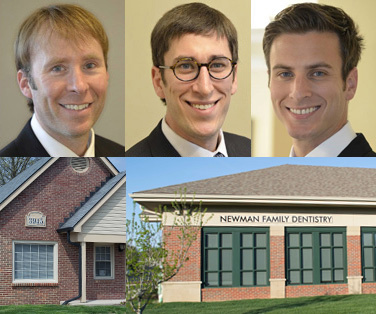 Here are just a few of the dental services offered by Newman Family Dentistry. Are you looking for a dentist in Indianapolis or Carmel that provides basic dental care? General dentistry includes everything you'd expect — from the initial dental exam and x-rays to cleanings, sealants, root canals, dental crowns and more. We provide services at two locations that offer extended hours for your convenience. Whether you simply need a cleaning or you're looking for advanced dental reconstruction, Newman Family Dentistry can help. Restorative dentistry is all about restoring form and function back to the teeth. Restorative dentistry services include root canal therapy, complex fillings, installing dental crowns, or repairing teeth with state-of-the-art bonding material. Restorative dentistry also includes reconstructing the bite through dental bridges, dental implants, or dentures—helping patients to regain their confidence and their ability to talk and chew normally. One practice, two locations, three doctors, in-network providers and extended hours! Taking care of your mouth on a regular basis can fend off dental problems before they even start. Preventive care is the cornerstone of our practice, and every person on our staff is committed to educating our patients about proper oral hygiene and injury prevention. Don't wait for a little dental issue to turn into a big problem. Routine dental exams, cleanings, sealants, and protective mouth guards could save you thousands by preventing serious dental decay or injury. If you are unhappy with your smile, Newman Family Dentistry offers cosmetic dentistry services that can help. We offer a wide range of cosmetic services, including cosmetic porcelain veneers, tooth contouring, gingival contouring, teeth whitening, and much, much more. Studies show that a great smile can boost self-confidence, self-image overall happiness. 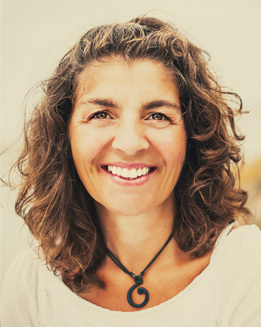 Come in for a cosmetic consultation to talk with Dr. Newman about how to beautify your smile. Dental crowns and bridgework only last for so long, and dentures require constant upkeep to preserve their look and function. Not to mention that every tooth that you lose weakens your dental arch and could ultimately cause bone loss that will impact your facial structure. Fortunately, Newman Family Dentistry also offers state-of-the-art dental implants, which are independently anchored into your natural jawbone tissue. In addition to looking completely natural and feeling great, dental implants have also been shown to last a lifetime. Invisalign is an alternative to long-term traditional braces, and consists of a series of custom fitted clear aligners which safely and effectively shift gapped, crooked teeth into proper alignment in as little as a few months. This solution is perfect for patients who feel awkward or uncomfortable with the idea of traditional braces. Realine uses a similar system for patients with only minor gaps between teeth. Normally, only five different aligners will be used and the full course of treatment could span as little as 10 weeks. Both systems are appropriate for use in teens and adults. Traditional sleep apnea treatment involves being hooked up to a CPAP machine, which can be annoying and cumbersome to use every night. In contrast, dental sleep apnea therapy utilizes a comfortable oral appliance that correctly adjusts the position of the jaw and mouth so the patient can breathe comfortably. If you’ve been diagnosed with sleep, you could be a candidate for oral appliance sleep apnea therapy at Newman Family Dentistry. Some people are born with a prominent labial frenulum, which is a piece of connective tissue that attaches the upper lip to the upper gums right between the front central incisors. Unfortunately, this flap of tissue can keep the two front teeth from moving together properly, which can cause a gap between the front teeth. To prevent this orthodontic issue, a labial frenectomy may be needed. Dr. Newman offers labial frenectomies, a quick surgical procedure to remove this flap of tissue that can make orthodontic treatment more effective. Call our office in Indianapolis or Carmel, IN today or click here to request an appointment. The smile of your life is within reach!